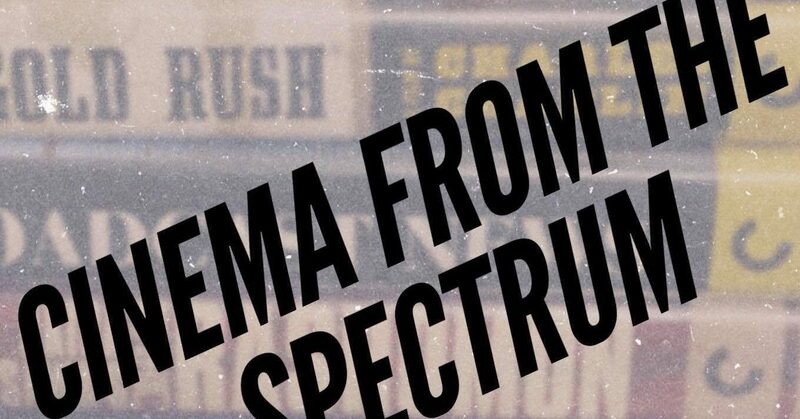 Essentially the catalyst for success stories being made within Hollywood about an industry, but to talk about George Cukor’s A Star is Born in this manner only understates what more it is on the inside. And coming to think of what was already expected from the Academy at the time, one of their biggest crimes was giving the Best Actress award to Grace Kelly for The Country Girl. For not only is Judy Garland’s performance one to define her own career as her very best, it also signifies one of the very highest points that Hollywood’s classic era has ever managed to reach. I’m not even sure how it was possible to make something like this back in the day come out as perfectly, even at the hands of excessive editing from studio executives – there’s a greater tragedy being reflected in A Star is Born that only solidifies it as a musical to define both the era and cinema as a whole. 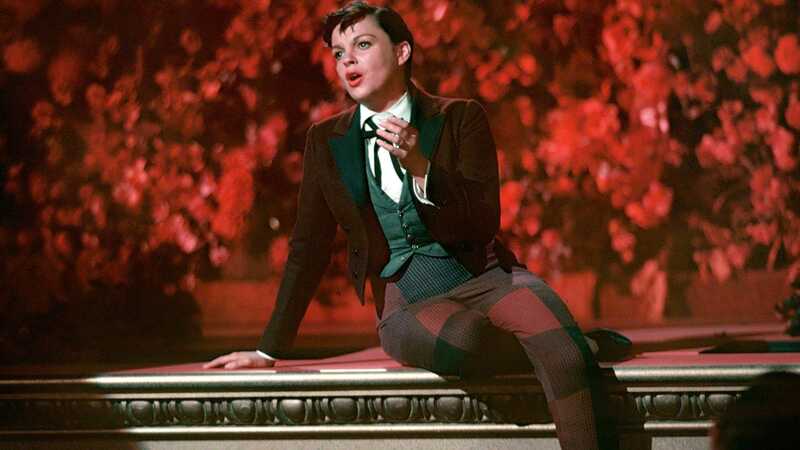 Judy Garland stars as Esther Blodgett, a talented and aspiring singer who befriends an already established star in order to help acquire fame. A Star is Born chronicles this whole journey in her own ups and downs, in how it details the effects of newly acquired fame and the effects of a lack of control. But for one looking into this film’s plot summary only presents a haunting mirror for the rather tragic life of Judy Garland, who died at the young age of 47 as the result of a drug overdose. At its core we have a romance between a rising starlet and a declining star, but the note this story has already been done before only seems to make things far stronger on George Cukor’s end, because a newfound fame only sets forth a dangerous path if no control can find itself maintained (something made clear from the real-life incident of Judy Garland having a camera crew filming her at the hospital room after having given birth because she was expected to win the Oscar) – highlighting the greater tragedy behind A Star is Born. The most haunting thing about A Star is Born is something I mentioned in the preceding paragraph, it would lie within how much of the film can almost play as a mirror of Judy Garland’s personal life at a time of her own downfall. George Cukor isn’t presenting this uncontrolled fame as a good thing, rather instead almost like a drug that gets inside of one’s mind and inflates their own sense of relevance, a small thing lost to them will only result in great pain coming afterwards. What George Cukor manages to get from both Judy Garland and James Mason are two equally heartbreaking performances that ever so brilliantly capture this pain, for it was only the spotlight that meant all to them and thus they only want to enhance themselves all the more to retain their spot. The experience borders towards discomforting, because one can only hold attention so much that pressure comes forth: will succumbing down to a demand be good for your own sake? The scathing critique of the industry aside, this also is one of the best staged musicals I have seen from classic Hollywood’s period, too. The choreography, the set pieces, and Judy Garland’s own singing voice to top everything off: it’s endearing in the best sense because it feels like watching a stage performance. Yet in here, it’s where Cukor expertly mixes in the glamour with the tragedy of what happens as a result of the fame that Vicki has managed to achieve. Cukor creates an image of the glory that is ingrained within the head as a result of what consumers would make of people within the spotlight, and it drugs them with that mindset. Mason’s character arc serves as a foreshadow for Garland’s, but the parallels between her character and her personal life are so much like a mirror it leaves that haunting effect. She was a woman who was damaged by the glory she ended up losing a sense of her own self, and there’s a sadder thought that comes by when this isn’t limited to the industry where it is set. I think what’s most breathtaking about A Star is Born is how much its own commentary about the industry in itself has only found itself becoming even stronger now. It would be easy to think that because of the title, “a star is born,” and the musical numbers that we are only about to see glory rising up as a new star comes to prominence, but George Cukor doesn’t depict that. He’s made A Star is Born as a psychological case study, because he knows on the inside that Vicki is still an ordinary woman who just so happened to be a talented one at that. Was she really ready for this fame, or would it only signify her own doom? There was great tragedy to be found by the end of Norman Maine’s character arc, for what only had come soon enough was self-indulgence as it turned into grief, but at the center we still recognize Vicki as a naive figure that just happened to catch the attention of a bigger industry. It only came clear to me how scathing A Star is Born really was, and it was only among many more reasons as to why it truly is one of the best films ever to have been made about the entertainment industry. For one can only acquire so much within the spotlight, but do they truly know what happens if they can’t control that power at all? Better yet, are they even aware of what it has granted upon them, to that point it becomes everything and they alienate all else? It’s rather scary and it’s unbelievably heartbreaking how much of A Star is Born still happens to be as relevant as it is, but it’s among many reasons this also happens to be Judy Garland’s defining moment on the screen. We weren’t so much watching Vicki Lester anymore. We were watching the rise and eventual doom of Judy Garland herself in this great tragedy. A star was born in Judy Garland, the exploitation she had suffered was only all the more devastating.